Gail - Great sketch of the square. I've been there and Fisherman's Wharf many times with family and your sketch brings back fond memories. Thanks. 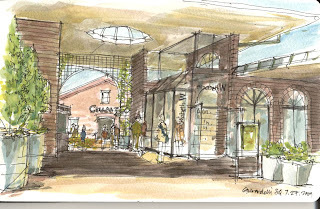 Wow very nice beautiful sketch........Gail - Great sketch of the square.